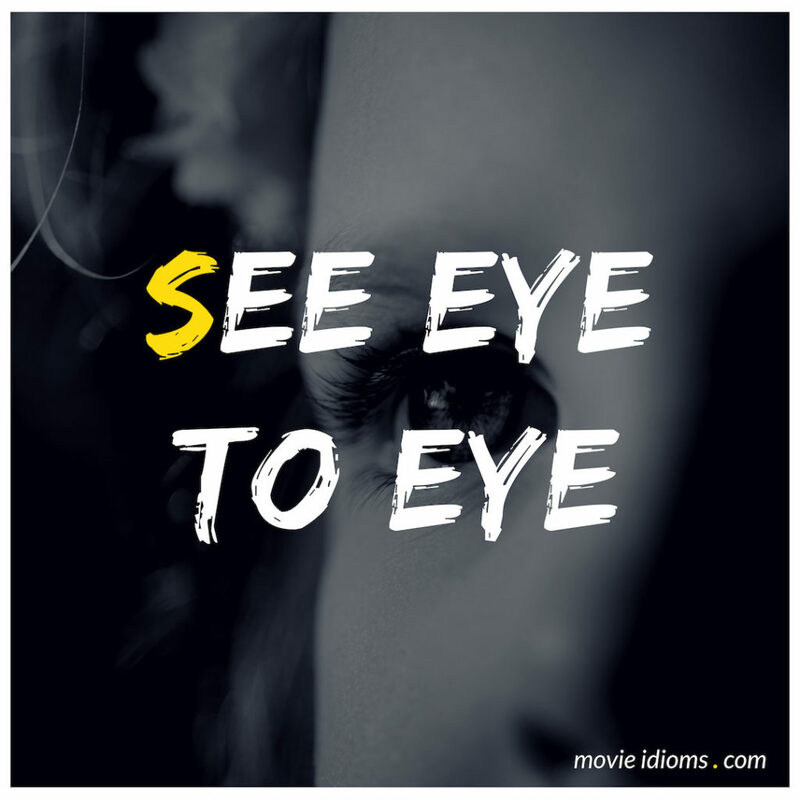 What does see eye to eye mean? Olivia Benson: Hey, you don’t get to knock heads even when it’s about a kid. Detective Nate Kendall: It’s no surprise we don’t see eye to eye. Olivia Benson: It’s more than that. You slapped a mother over her six-year-old. Now, you’re threatening him over a girl recruit. What’s the matter with you? Detective Nate Kendall: She reminded me of my daughter, Kelly. Olivia Benson: How old is she? Detective Nate Kendall: Ten. Only got to see her two weeks out of the year. Never enough time, but we always had a blast. Oliver Queen: We do what we have to do, Clark! And deep down in your heart, you know that it was my only choice ’cause you’re gonna do the exact same thing when you find Davis Bloome. And all I can do is hope that the guilt doesn’t wear you down as much as it does me. Clark Kent: Thank you, Oliver. But I’ll take it from here. Oliver Queen: All right, look. We don’t see eye to eye on everything. That’s no secret, Clark. We’re still on the same side. Clark Kent: No, we’re not. Cliff Vandercave: Look at those pathetic worms burrowing their lives away. Do you know why I’m up here and they’re down there, Miss Stone? Sharon Stone: Because you lied on your résumé? Cliff Vandercave: No. Because I have vision, and right now I have a vision of you and me dripping with coconut oil on a beach in Rockapulco with Mr. Slate’s fortune to keep us company. Sharon Stone: I’m glad we see eye to eye. Cliff Vandercave: And somewhere down there is the ignorant stooge who will make all my schemes come true.